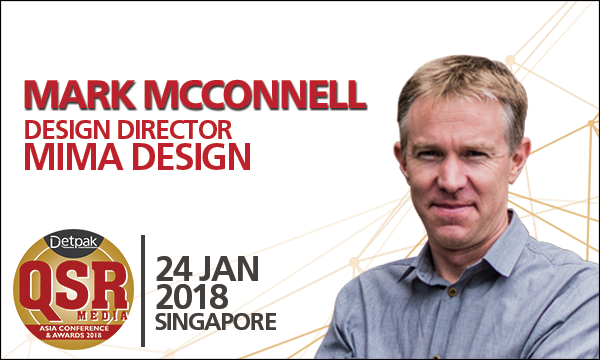 Graduating in London with a Royal College of Art Design Degree, McConnell has over 20 years design and project management experience, covering a broad spectrum of projects for branded environments including, transport, banking, retail, hospitality, food, and commercial business. This knowledge has been gained working in the UK, Hong Kong and Australia with clients ranging from large multi-national corporations to entrepreneurs and small local start-ups. McConnell started his career in the UK working for Wolff Olins, a world leading corporate identity design company. During 3 years in Hong Kong, he developed retail environments for Caltex and subsequent international design guidelines for the brands roll-out. Moving to Australia in 1998, he worked for several leading design companies in Sydney, on various premium retail and hospitality projects, before establishing his own commercial design business to service clients directly, implementing projects throughout Australia, New Zealand and into Asia. Mark’s recent clients have included Woolworths (Australia), Guzman Y Gomez, McDonalds, Lush Handmade Cosmetics, Myer, Yayoi, Wok to Walk and Caltex Australia. QSR Media: How does a restaurant's design contribute to the overall brand personality? A restaurant’s success is as much about the diners entire experience during the time they spend there than just simply the food they eat. Customers’ expectations are incredibly advanced today, and restaurateurs cannot pretend to be something they are not. Presenting a certain brand personality via marketing and graphic design will get the customer to your door, but if their expectations are deceived, they will think twice and move on to your competitor next door. Today’s social media allows a very swift way for customers to rate their experiences and photos tell a thousand words. Branding, often seen as the advertising and graphics component of restaurant design, must work seamlessly at all customer touch points along the path to purchase, which in this case would be the dining room. Restaurant designers must get into the DNA of the business and translate it into something that is 'on brand', functions efficiently for the operator, and above all, provides a memorable experience that customers can share. By the time the client completes their visit to the restaurant, you want them to be sending photos telling friends what a great time they had there, and that the food and service was excellent. This is brand building in the social media world we live in today. QSR Media: Where does traditional design come through in the age of digitalised concepts and such? Technology has always had an influence on our environments, and restaurant operators are often the quickest to experiment with new ideas this brings, whether it is to increase their operational efficiency or to add an entertaining experience for the customer. In our experience though, digital technology is not necessarily ideal straight out of the box. It usually needs careful selection, manipulation, and installation so that it isn’t seen as an adornment to space, but is much more integrated – making it an immersive experience within the environment we are designing and part of a complete sensual delight (sight, sound, touch, and smell, etc.). Smaller operators should be wary of a quick technology installation solution. It’s not necessarily the hardware that makes all the difference, but the content you must develop within it. A space involving too much high end technology can often miss the more subtle physical and tactile experiences our organic bodies still desire that are so easily taken for granted, and missed in the rush to have the latest and greatest. QSR Media: What do you think is interesting that is happening in the QSR and fast casual industry today? Technology continues to influence development within a QSR business for a couple of key reasons. Today’s consumers’ expectations race ahead faster than retailers can keep up, with new concepts and ideas spreading via social media within minutes around the world. Seamless payment transactions demonstrated by Amazon will be a standard, while investment in technology is also seen as a way to overcome the struggle to find and retain staff by deleting repetitive task jobs and focus staff attention to product and service management. Delivery mechanisms continue to evolve the QSR business by expanding their reach, also influenced by technology associated with our smartphone 'App' led lives, connecting in with various 3rd party delivery methods whether by car, bike or drone. I’m guessing someone’s working on food teleportation as I write this…. the next BIG thing surely! 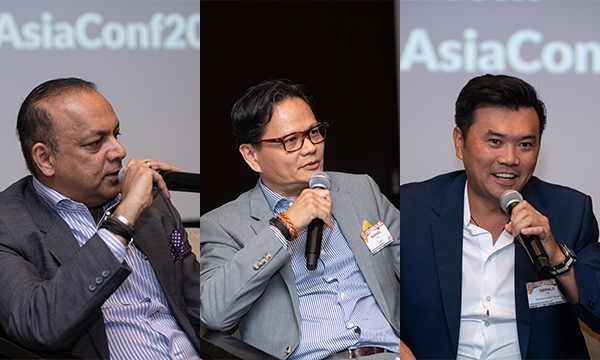 QSR Media: Can you give us a glimpse of what you will be sharing with regards to the panel session: Restaurant Design Panel? QSRs now have an explosion of competition as petroleum and grocery retailers move into fresh grab & go concepts, and overseas brands enter new markets as they race on to expand their global reach. QSRs must excel in their food innovation, speed and convenience without sacrificing quality or customer service, and yet also create memorable restaurant experiences their customers wish to return to time and again to build customer loyalty.